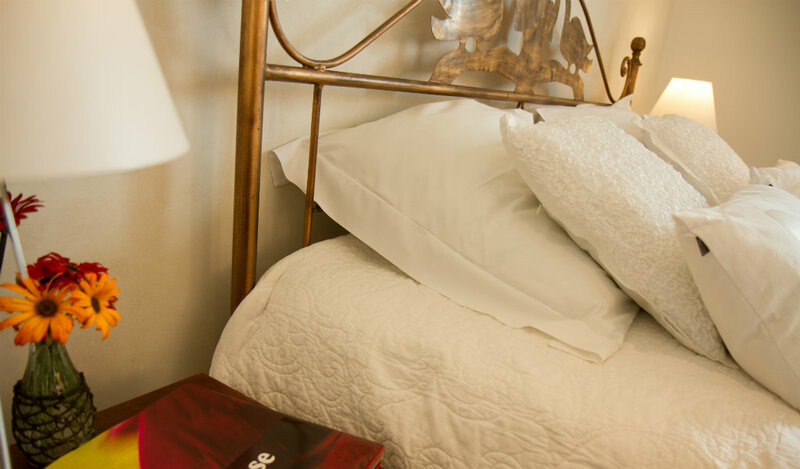 Our superior rooms, rooms 1 and 2, are the most beautiful and largest rooms of the house. They are south facing and have beautiful views over the garden, the swimming pool, our orchard to the sea. Both have a balcony. The rooms have air conditioning, underfloor heating, a flat-screen TV with Sattelite TV, a Nespresso coffee machine and a kettle, a seating area and free Wi-Fi. 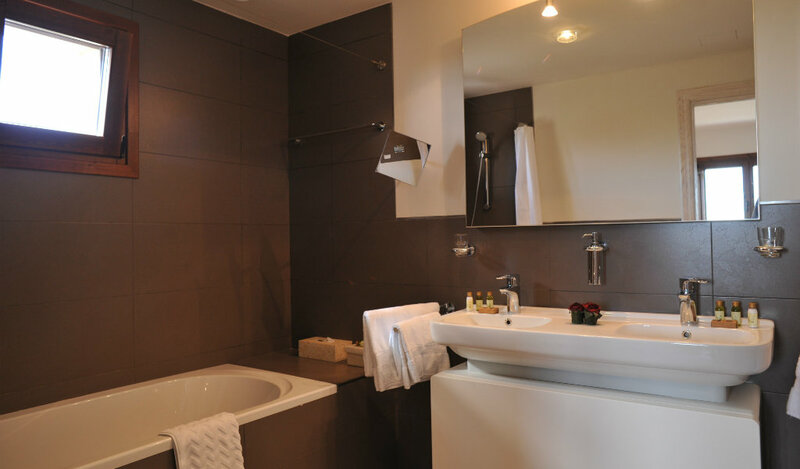 The en-suite bathroom is equipped with a bath, toilet, hairdryer and free toiletries. The rooms have 1 double bed of 1.60 x 2.00m. Room size: 23 m². Both the first floor. Accessible via the stairs.